Lately I’ve found myself more challenged by feminism than in the past. I do not and cannot call myself a die-hard feminist. I’m not an activist. I am a quiet supporter, who still indulges in mainstream media while acknowledging how problematic such institutions can often be. I have friends and acquaintances who are heavily involved in the modern feminist movement, however, and during a discussion about religion I felt the unasked question: how does my religion line up with femknism? Beyond that, I have been working on finding stories and myths that offer support to feminist values. My initial thought is always Sekhmet. Her name literally means “Powerful One”, and She commands Ra’s active powers. All the Eyes do. However, Her actions are all under the domain of Ra; all that She does is because of Her Father. I can see some raising an eyebrow here. I would counter with my own UPG about Her, in which She is certainly and unequivocally Her own power. I also think of Aset. She is the King-maker, who re-animated Her dead husband and raised Her son alone that He would become King in His Father’s succession. All this, too, is done for Her husband, one could argue – but She does other things which speak of Her independence and power, such as stealing the name of Ra for Her own use. She is powerful in Her own right, for Her own desires. Nit is also interesting as a model of feminine power. She is a creatrix, but importantly, She is not considered particularly feminine. She is associated with war, and with the creation of the Universe – roles usually reserved for male deities. She does not conform to any sort of modern feminine stereotypes and, in my experience, exists squarely outside the traditional gender box. Frankly, I’d say all the Goddesses of Kemet offer Their own power to the theory of feminism. Hethert offers women the power to be sexual creatures at their own discretion. Bast offers women the power to feel deep emotions and relationships. 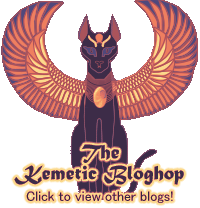 Sekhmet offers women the power to fight injustice and wickedness. Mut offers women the power to own strength and fierceness alongside ‘traditional’ feminine qualities. 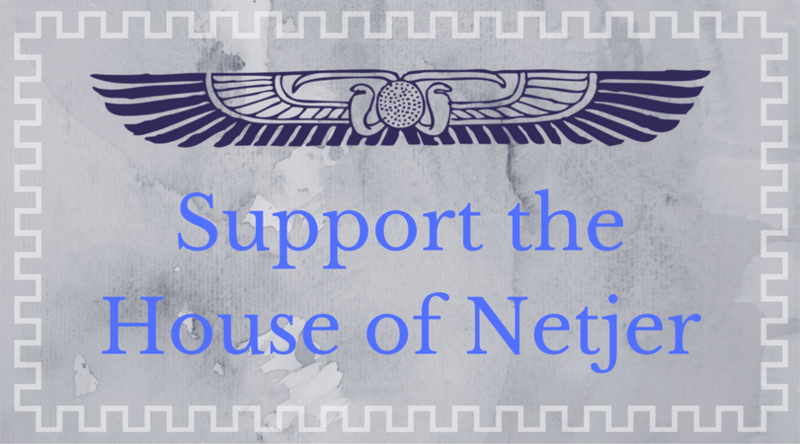 Above all: Ma’at, the central order of the Universe, most highly prized and powerful, is a goddess. Next Post 42 Negative Confessions: Sticking to the Original. Interesting post. I think I remember seeing something about Nit being androgynous somewhere. I can look that up for you if you like. As for the LGBT thing, the first thing that comes to mind is the contendings of Heru and Set, specifically the episode where Set tries to get Heru filled with his sperm. Homosexual acts were seen as signs of weakness, which is why it would’ve been so bad if they had indeed found Set’s sperm in Heru. You’ll have to confirm this yourself, though, because I cannot for the life of me remember where I read this (tons of Egyptological books at my old home that I no longer have access to). My only problem with Heru and Set is that that incident doesn’t have a very LGBT-positive perspective. Set is trying to use that interaction as a way to demean and debase Heru. I would personally not recommend that as a story to provide meaning for the LGBT experience from a Kemetic perspective. No, not exactly a positive message, but then again they did live in a different context. It can be difficult to retroactively view things from an LGBT positive perspective when it´s a more recent phenomenon. Besides the demeaning/debasing perspective, it could also be tying heka and sexuality together. I know they saw Set as more powerful than Heru and his overt sexuality was proof of that- so maybe that´s Set´s homosexuality in a positive light? I definitely see Hethert in a feminist light, myself. She’s the embodiment of Woman to me, and that’s something I’m learning to fiercely be proud of. I’m a feminist, and often classically feminine. I like skirts, makeup, jewelry, dancing, cooking, all that. I was also reminded in shrine, once, that my Mother is Hethert-Sekhmet, and this Womanly goddess can turn and fight fiercely. I also love that about Her, and know it well, since I trained in martial arts as well as dancing. Hethert may be one of the more “normal feminine goddesses” of Kemet, but in no way does that make Her a shrinking violet. I see Her as loudly feminine, proud, shining. Something I strive to be.